Jr. Bloomsday is back! Mark your calendars for April 20, 2019, and act fast: Registration goes live February 1st and is open to the first 3,000 kids to register. 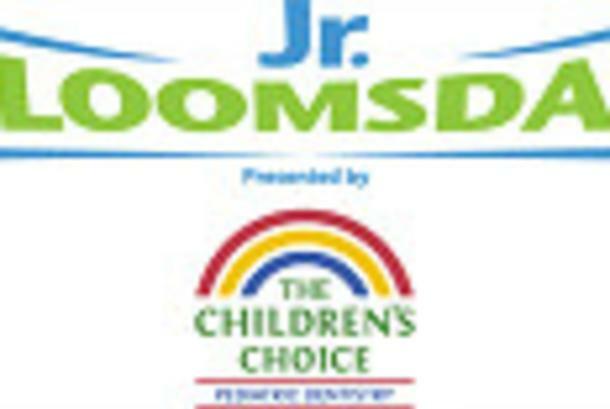 Kids in the 3rd through 7th grades may participate in Jr. Bloomsday. For just $20, each finisher will receive limited edition Finisher shirt, free SILVERWOOD Theme Park Pass, free Papa Murphy’s mini-pizza, and a souvenir bracelet! You can’t beat the value! The Lilac Bloomsday Association decided the time was right re-launch the popular children’s race from the 1980s and 1990s. Youth running has exploded in the Spokane area thanks to tremendous efforts by the Active4Youth cross country program in area elementary schools and Bloomsday’s own Fit For Bloomsday program. This spring, more than 7,000 kids will participate in the Bloomsday Fit For Bloomsday program. Jr. Bloomsday will be held at Avista Stadium (home of the Spokane Indians) and run along the grounds of the Spokane Interstate Fairgrounds. RACE COURSE: Runners will start and finish the race at the Avista Stadium baseball park. The kids will actually finish inside the ballpark right near home plate! Thank you, Spokane Indians! COST: $20.00 - - each finisher receives finisher t-shirt, free SILVERWOOD Theme Park pass, free Papa Murphy’s mini-pizza, and souvenir bracelet. *A portion of the proceeds from Jr. Bloomsday will be donated to Active4Youth. ENTRY: Registration opens February 1st and is limited to the first 3,000 kids. Registration will close when 3,000 have registered. Don’t delay or you will miss out on the fun! Click here to go to our registration page. T-SHIRT: Just like our world famous 12k race, each finisher will receive a t-shirt, the design, and color of which will remain secret until race day! RACE FORMAT: Kids will be escorted to the Start line and will begin their races every few minutes. This is called a wave start. Once each child finishes, they will then be escorted by Jr. Bloomsday chaperones to the Silverwood Theme Park Reunion zone where they will be reunited with their cheering families. TIMED RACE: Each participant will be chip timed and will receive a finishing time. Results will be available immediately following the race. RACE NUMBER PICKUP: After entering online, parents must pick up their child’s Jr. Bloomsday Race number on Friday, April 19th at the Spokane Indians Box Office at Avista Stadium. Avista Stadium is located at the Spokane Interstate Fairgrounds (404 N. Havana St., Spokane Valley, WA). The Box Office will be open from 9AM to 6:30PM. Important instructions will given at that time on when your child should arrive for race day.